Komodo Edit is a good editor for many programming language. However, since it is free as compared to its brother Komodo IDE, there is lack of debugging function. But, Macro and run command do exist though. You can make use of those feature to save and debug your script with a click of a shortcut key. Step 1: Create a new macro. Step 2: Enter the macro script below. You are free to change %(python) to %(perl), provided that perl is installed, and the environment path is set. 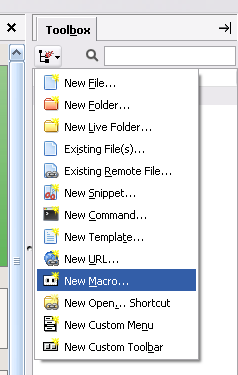 Step 3: Set a key binding to the new created macro. Now you just need to press the 'F5' key inorder to save and run a python script.